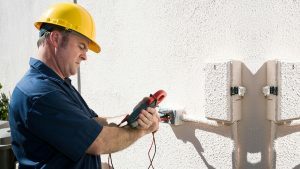 You are making the ideal connection if you need an electrician in Fort Lauderdale, Boynton Beach, Davie, or Boca Raton, Florida. In addition to these cities, we serve other nearby communities, including Deerfield Beach, Parkland, Margate, Sunrise, Tamarac, Coconut Creek, and Coral Springs. We feel a close connection to our neighbors in all of these local communities, and we go the extra mile to provide quality electrical services at affordable prices. Our Boca Raton-Parkland-Fort Lauderdale electricians are highly skilled professionals that take a lot of pride in their work, and it shows when you see the results. If you take a moment to visit the reviews page on this website, you will see that our clients are consistently satisfied with the services that we provide. We perform all different types of electrical repairs, and we also specialize in installations of whole-home lighting systems, so we can satisfy all of your needs. Plus, if you are in an emergency situation, we have electricians on call around-the-clock, seven days a week. In addition to the work that we do for individual homeowners, our electricians are also well equipped to handle commercial assignments. 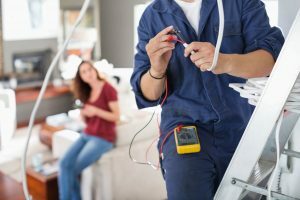 Whenever you need a commercial electrician in Fort Lauderdale, Boynton Beach, Coral Springs, or any of the other cities that we serve, we will be ready to spring into action. As we have stated, we are always available to respond to emergencies, and we provide a one-year installation workmanship guarantee. We handle all different types of repairs and installations for businesses of any size or scope, including fire alarm installations. It is definitely important to make sure that your commercial facility is monitored at all times. And speaking of monitoring, if you would like to deploy surveillance cameras throughout your business, we can get the job done. Our electricians are second to none, and we also make a firm commitment to top quality customer service from the first point of contact onward. You can reach one of our Coral Springs-Boca Raton-Fort Lauderdale electrical service consultants by phone 24 hours a day, seven days a week at 954-876-1536. If you would rather reach out to us electronically in a non-emergency situation, you can simply send us a message through the contact page on this website.